May 15th marked the official end of the bald eagle (Haliaeetus leucocephalus) nesting season for 2011 in the Sunshine State and with the dog days of summer quickly approaching some of our majestic raptors have headed north, like so many other “snowbirds” for which Florida is famous. Fear not though, both classes of “Q-Tipped” migrates are destined to return in the fall to once again enjoy our beautiful weather and superb fishing. However, unlike their humanoid counterparts whose ability to visit and build homes here has been greatly diminished by our struggling economy, the bald eagle has been returning to build their “homes,” or nests, in record numbers. In spite of its success and no longer being considered an endangered species, would you believe it is now more difficult to get through the regulatory process if a bald eagle chooses to make your home its home! Before looking at the regulations, we should first look at the numbers. As I previously reported in Florida Land Development News, the recovery of our bald eagle population is truly a remarkable story and a testament to the success of our nation’s conservation effort over the last half century (September 2009). In 1963, after plummeting to a level as low as around 400 pairs in the lower 48 states, today the numbers are estimated at well over 10,000 pairs. In the fall of 2010, researchers at Pennsylvania’s Hawk Mountain Sanctuary, which sits along a well traveled East Coast flyway for migratory birds and a point where some of our Florida bald eagles surely pass on their way to destinations as far a way north as the Chesapeake Bay, counted a total of 407 bald eagles. This total shattered the previous record of 245 birds counted just two years earlier! Likewise, record numbers of bald eagles are being reported across the county in states like New York, Tennessee, and Arizona. According to the U.S. Fish and Wildlife Service (USFWS), the bald eagle has reclaimed its entire historic range. This is certainly true in Florida where our state has seen an incredible resurgence in bald eagle numbers. In 1973, as few as 88 nesting pairs were recorded across all 67 counties. Today, based on the Florida Fish and Wildlife Conservation Commission’s (FWC) own annual bald eagle survey report, 1,280 pairs were recorded in 2008 while 1,340 were noted in 2009. In 2010, the number again increased to 1,362, which represents over a 1400 percent increase in the last 37 years. This calculates to 34 new nests being established across the state per year, on average. Over 80 percent of the bald eagles in the Southeastern United States nest in Florida and we have the second largest population in the lower 48 states. We are right behind Minnesota. So light of the bald eagles obvious recovery, what is the deal with the regulations? Due to the bald eagle’s recovery, in August of 2007, the USFWS officially removed it from the Endangered Species List, under the Endangered Species Act (ESA) and Florida removed it from its imperiled species list in April 2008. As a result of the federal and state “de-listing” new regulations were enacted that continued to afford the bald eagle protection, either under existing rules or through the creation of new ones. It is the result of the new bald eagle rules that redundancy in development review was created between the USFWS and FWC. In November 2009, at the federal level, a new rule was adopted under The Bald and Golden Eagle Protection Act (The Eagle Act) that redefined what it means to “disturb” a bald eagle and allowed for two new types of permits to be issued to improve the management of the species. The permits are designed to protect public safety and manage activities or projects that may disturb or otherwise incidentally “take” bald eagles or their nests, while maintaining stable or increasing populations. These types of permits were available under the ESA, but when the bald eagle was de-listed four years ago there were no provisions for them under The Eagle Act, so the new regulations corrected this oversight. Compliance with The Eagle Act is now overseen by the USFWS’ Migratory Bird Division. In May 2008, the state of Florida also adopted a new rule (i.e., Chapter 68A-16.002 F.A.C.) to ensure the protection of the bald eagle in response to it being de-listed. The new rule prohibited take, with a few exceptions; defined “disturb” for eagles; made it unlawful to enter posted eagle protection areas on public land; and incorporated the FWC’s Bald Eagle Management Guidelines (adopted on April 9, 2008) into the regulation by reference. The adoption of the FWC’s guidelines into the rule also included a newly defined permitting framework for the bald eagle. 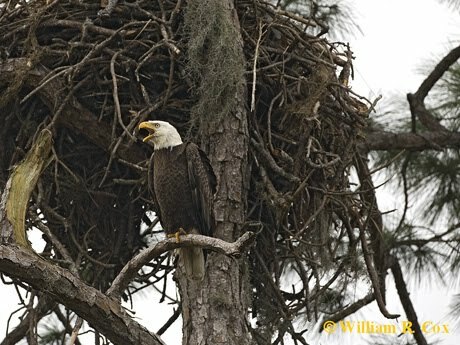 There are three FWC eagle permit types available: Disturbance, Nest Take, and Scientific Collecting. Following the de-listing of the bald eagle under the ESA, the state’s adoption of a permitting framework in May 2008 created a mechanism for development review at a time (i.e., August 2007 to November 2009) when the federal government did not have one in place. However, following implementation of the fed’s new rules under The Eagle Act in November 2009, a redundancy in permitting between the USFWS and the FWC resulted. Prior to 2007, when the bald eagle was listed as an endangered species, the USFWS was the only agency from which a permit was required – now it’s both. In response to of our state’s struggling economy and crippled housing industry lets hope one agency chooses to delegate its permitting authority to the other, so at the end of the day, it’s not just the bald eagle looking to build a home here. If needed, the internet is a good source for bald eagle information and federal and state permit applications. Applications for federal eagle permits and related documents as well as other eagle resources are available at: http://www.fws.gov/migratorybirds/baldeagle.htm Applicants considering a federal eagle permit should also review the USFWS National Bald Eagle Management Guidelines at: http://www.fws.gov/southeast/es/baldeagle/NationalBaldEagleManagementGuidelines.pdf. Additional information concerning the FWC bald eagle guidelines or permit requirements can be requested by contacting eagle plan@myfwc.com. Federal and state wildlife agents are also available to answer questions and assist with applications. Ulgonda Kirkpatrick is the USFWS Regional Eagle Biologist for Region 4 which covers South Florida. Her business number is (352) 253-6957. Angela Williams is the FWC’s Protected Species Coordinator for Florida. She can be reached at (850) 921-5990. With the dog days of summer quickly coming to a close, it will not be long before the Southern Bald Eagle (Haliaeetus leucocephalus), our nation’s symbol, will be seen circling in our Florida skies with thoughts of building a home somewhere keenly on its mind. October 1st marks the beginning of the eagle nesting season in the Sunshine State, so it seems an appropriate time to comment on this bird’s population and regulatory status. Over the course of the next couple of months, usually after a pair has taken up house-keeping in the top of a nearby pine tree, I will get a call from a landowner, neighbor, or concerned citizen asking if the bald eagle is still protected. The answer is a resounding – YES! However, some will question my quick response because they are aware that the bald eagle has made a tremendous come back – to the point that it is no longer considered an “endangered species.” So what is the deal? It is true; the recovery of our bald eagle population is truly a remarkable story and a testament to the success of our nation’s conservation effort over the last half century. In 1963, the population plummeted to a level as low as around 400 pairs in the lower 48 states; however, today the numbers are estimated at well over 10,000 pairs. Florida too, has played a large role in the bald eagle’s rebound. In 1973, as few as 88 nesting pairs were recorded in our fair state compared to over 1,280 in 2008. We have the second highest population of nesting bald eagle pairs in the continental United States. We are right behind “The Land of Ten Thousand Lakes” – Minnesota. In response to the bald eagle’s recovery, in August of 2007, the U.S. Fish and Wildlife Service (USFWS) officially removed it from the Endangered Species List, under the Endangered Species Act (ESA), enacted in 1973. So when someone comments that the bald eagle is no longer an endangered species or has been “de-listed,” it is generally this list (i.e., at the federal level) that they are referring to. Individual states also have their own imperiled species list, and Florida is no exception. 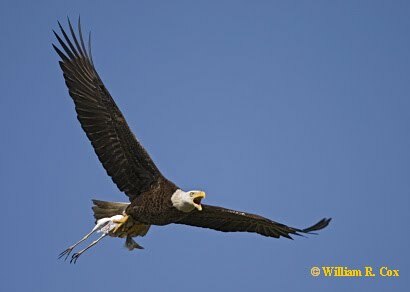 Because of the bald eagle’s strong comeback, it was removed from Florida’s imperiled species list in April 2008. Since the bald eagle has been de-listed at the state and federal levels, how is it still protected? There are several other laws at the federal, state, and sometimes even local (i.e., county and city) levels of government that still afford protection measures for the bald eagle. At the federal level, it is protected under the Migratory Bird Treaty Act of 1918 and The Bald and Golden Eagle Protection Act (The Eagle Act) of 1940. In fact, on November 11, 2009 a new rule will officially be adopted under The Eagle Act that will allow two new types of permits to be issued to improve the management of these species. The permits “…are designed to protect public safety and manage activities or projects that may disturb or otherwise incidentally “take” bald or golden eagles or their nests, while maintaining stable or increasing populations.” These types of permits were available under the ESA, but when the bald eagle was de-listed two years ago there were no provisions for them under The Eagle Act. The final rule can be found at: http://www.fws.gov/migratorybirds/. In May 2008, the state of Florida also adopted a new rule (i.e., Chapter 68A-16.002 F.A.C.) to ensure the protection of the bald eagle in response to it being de-listed. The new rule prohibits take, with few excepts; defines disturb for eagles; makes it unlawful to enter posted eagle protection areas on public land; and incorporates the Florida Fish and Wildlife Conservation Commission’s (FWCC) Bald Eagle Management Guidelines (adopted on April 9, 2008) into the regulation by reference. Finally, depending on the location of a bald eagle pair and its nest tree, some local municipalities have their own protection ordinances. It is very important to be aware of them because some of their requirements may be more restrictive than the state and federal rules. For example, in most instances, if a project is over 660± feet from active or alternate eagle nest trees, no special permits are needed from the USFWS or the FWCC; however, the City of Cape Coral, in southwest Florida, has an Eagle Management Zone that extends out 1,100± feet, so if the project was between 660± feet and 1,100± feet away local approval would still be necessary, as it relates to the bald eagle. Also, a helpful online resource for checking into local land development codes governing the bald eagle can also be found at www.municode.com. Improved Eagle Management Program Helps to Incorporate Scientific Data, Identify Information Gaps. 11 September 2009. U.S. Fish and Wildlife Service. September 2009. http://www.fws.gov/news/NewsReleases/showNews.cfm?newsId=A94842D8-027E-E7BD-5F875786891A3862. Michael Myers received his Bachelor of Science Degree from Michigan State University in Wildlife Biology and Management. He has over 17 years of experience performing ecological services in South Florida for private and public development, road, and utility projects. He worked as an Ecologist and Field Supervisor at Johnson Engineering, Inc. from 1992 to 1996. Since 1996, he has worked at Passarella & Associates, Inc. as one of their Senior Ecologists and Senior Vice President. 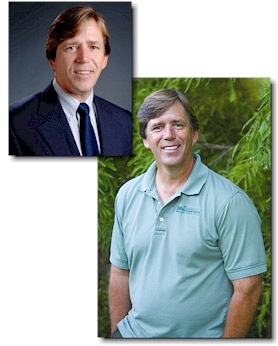 His areas of experience include state, federal, and local permitting; agency negotiations; environmental impact assessments; ecological assessments, listed species surveys; listed species permitting and relocation; state and federal wetland jurisdictional determinations; and wetland mitigation design. He is affiliated with several professional associations including the Florida Association of Environmental Professionals, Society of Wetland Scientists, and Florida Native Plant Society. In 2007, he was appointed to serve on Lee County's Eagle Technical Advisory Committee which assisted in drafting the County's new Eagle Protection Ordinance.